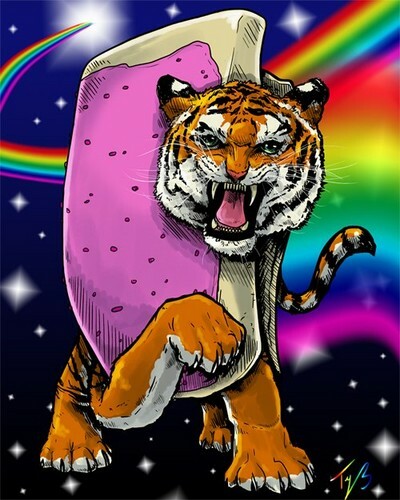 Nyan Tiger~. ROAR....oops I mean Nyan~ :3. Wallpaper and background images in the Nyan Cat club tagged: nyan cat tiger. BEAST TO THE MAXIMUM!!!!!!!!!!!!!!!!!!!!!!! You get a monkeeeeeeeeeey. Nyan Cat for 10 hours!!! !